A California radio amateur and ARRL member was among the three winners of the Nobel Prize in chemistry. 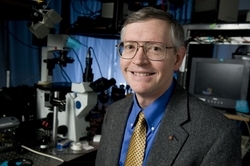 William Moerner, WN6I, of Los Altos, a chemistry professor at Stanford University, will share the prestigious award equally with two other researchers -- Eric Betzig and Stefan Hell --for their work in high-resolution microscopy, or nanoscopy. For many years scientists had believed that an optical microscope could never yield greater than 0.2 micrometer resolution. The three scientists overcame that limitation through what the Nobel panel called "the development of super-resolved fluorescence microscopy." "I was just incredibly excited and thrilled, and, of course, your heart races, and you say, 'Oh, can this be? Can this be?'" was how Moerner reacted when formally notified that he was a prize winner. "I'm incredibly happy about the recognition of the field, especially of all the workers and all the scientists at many places around the world who have contributed to the effort." In Brazil for a conference, Moerner had already heard the news from his wife, who learned of it from an Associated Press reporter who had called their home for a comment. As a Stanford University news release explained, "Optical microscopy was long limited by the presumption that it could never obtain a better resolution than half the wavelength of light. Moerner, Betzig, and Hell circumvented this limitation through the clever implementation of fluorescent molecules, which made it possible for optical microscopes to operate at the nanoscale and visualize individual molecules moving within cells." Read more. Keane said that servers were taken offline and isolated from the Internet when the hack was discovered. Certain ARRL web functions -- online DXCC in particular -- were temporarily disabled. "Legacy" URLs (ones containing "p1k.arrl.org") have been restored, as has access to the ARRL Periodicals Archive. Keane stressed that it is highly unlikely that any sensitive information was compromised. Any information the hacker might have been able to glean from the ARRL server, he said, is already publicly available -- data such as names, addresses, and call signs that appear in the FCC database. The hacker may have been able to obtain site usernames and passwords that were established prior to April 2010, and that have not been changed since then. Members who have not changed their ARRL website passwords since early 2010 should do so at this time. Keane confirmed that it's always prudent to change passwords on a routine basis. "That's the best practice," he said. Keane said that his department is still looking into what types of information may have been vulnerable to the hack. "They were poking around, trying all the doors," he explained. "We don't keep anything of value [to a hacker] there. Hackers don't care about DXCC totals or want to read the online issue of QST. There's nothing of financial value there." Keane said that in addition to reporting the security breach to federal law enforcement authorities, his department is working to increase the League's Internet security posture. 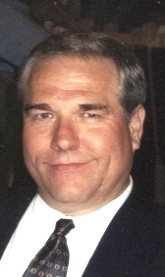 Steve Putman, N8ZR, of Fairborn, Ohio, one of the candidates for the Great Lakes Division Vice Director's chair, died unexpectedly on October 5. He was 58 and an ARRL Life Member. Balloting is already underway for the Great Lakes Vice Director position, currently held by Tom Delaney, W8WTD, the only other candidate. The ARRL Ethics and Elections Committee has determined that all votes cast by members in the Great Lakes Division will still be counted. If Putman receives the most votes, a vacancy will be declared that ARRL President Kay Craigie, N3KN, would fill by appointment. In declaring his candidacy, Putman, a professional engineer, said that he got into Amateur Radio "to have fun!" Born in Michigan, he was licensed as a Novice in 1972 as WN4ZRR while living in Alabama. 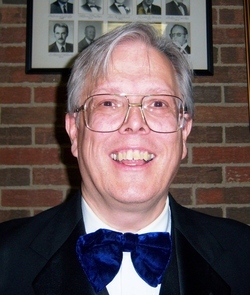 Putman became an ARRL VEC volunteer examiner in 1985, in the early years of the volunteer examiner program, and he established a VE program for the USECA Amateur Radio Club in Utica, Michigan. 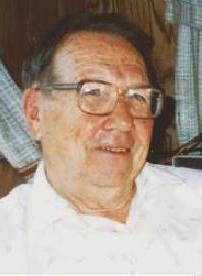 Putman served as an ARRL Volunteer Consulting Engineer. In addition to the ARRL, Putman belonged to the Dayton Amateur Radio Association and was a volunteer at Dayton Hamvention®. He also was a QCWA Life Member, and he held the Australian call sign VK2IZR. Putman founded the Antioch Shrine ARC and served as trustee of its club station, N8FEZ. In his spare time, Putman enjoyed playing the trumpet in the Antioch Shrine Band, the Fairborn Civic Band, and at his church. Putman earned a BS in mechanical engineering from The Ohio State University and master's degrees (mechanical engineering; MBA) from Bowling Green State University and the University of Dayton. He retired in 2013 as a professor of systems engineering from the Air Force Institute of Technology at Wright Patterson AFB. The family invites memorial donations to the Shriners Hospitals for Children. The next World Radiosport Team Championship -- WRTC 2018 -- will take place in Germany. The WRTC Sanctioning Committee announced on October 5 that it had granted the application of a group representing the Deutscher Amateur Radio Club (DARC), the Bavarian Contest Club (BCC), and the Rhein Ruhr DX Association (RRDXA) to organize what are often called "the Olympics of Amateur Radio." In July, German participants of WRTC 2014 in New England initiated a petition, urging the WRTC Sanctioning Committee to name Germany as the site of the next international competition among elite teams of Amateur Radio contesters. With initial support of the contesting community in hand, the organizing team of "about 20 contest enthusiasts" defined a basic project plan, according to the WRTC 2018 website. "During the next weeks, the team will launch an official organization to finance and conduct WRTC 2018 in Germany," the Organizing Committee said. The team is recruiting volunteers and evaluating three geographical regions within Germany as possible WRTC 2018 venues. General areas under study are Muenster/Westphalia, Maerkisch-Oderland east of Berlin, and Jessen/Wittenberg. Christian Janssen, DL1MGB, heads the WRTC 2018 Organizing Committee. In announcing the selection of Germany, WRTC Sanctioning Committee Chairman Tine Brajnik, S50A, said, "The German application was very well prepared, and, knowing their experience, we all expect another outstanding meeting and competition among the world's best contesters." The Sanctioning Committee evaluates requests to host a WRTC and selects the successful applicant. Brajnik said the committee would be making public information regarding the qualifying process. It is not known if the committee considered any other applications. Qualifying events for WRTC 2018 will start with 2015 ARRL International DX CW and end with 2016 CQ World Wide CW. Detailed rules will be published by the end of November. "The rules will follow the WRTC 2014 approach, with some marginal changes," the committee said. In accordance with feedback from WRTC 2014 competitors, the committee said it would be decreasing the number of qualifying contests and, consequently, the qualifying period. Chris Janssen, DL1MGB, is the chair of the WRTC-2018 Organizing Committee. An announcement regarding the location of WRTC 2018 had been expected at the closing ceremony for WRTC 2014, but no formal proposals had been received at that point. A World Radiosport Team Championship features between 50 and 60 two-person Amateur Radio teams competing in a test of operating skill. The event takes place concurrent with the IARU HF Championship in July, although WRTC rules vary from those of the IARU event. All stations use identical antennas and power level and operate from equivalent sites in the same geographical region in an effort to eliminate all variables except operating ability. WRTC 2014 included 59 competing teams from 29 qualifying regions around the world. The first WRTC was held in 1990 in Seattle. Read more. US Army and Air Force Military Auxiliary Radio Service (MARS) stations will participate in a 48-hour nationwide contingency communication exercise on October 27 and 28 as part of an effort to develop greater cooperation between the Department of Defense (DoD) sponsored MARS program and the Amateur Radio Emergency Service (ARES). MARS is encouraging its members to discuss communication interoperability in advance of the exercise with their ARES section and district or local emergency coordinators. "This communications exercise is sponsored by the DoD to provide MARS operators the opportunity to develop and train interoperability procedures with their state/local ARES emergency coordinators and their Amateur Radio colleagues," explained Army MARS Program Manager Paul English, WD8DBY. He told ARRL that the DoD/MARS exercise has "full participation" from Army and Air Force MARS, and that he anticipates that some individual Navy MARS members may participate as well. The plan calls for MARS members, using their Amateur Radio call signs and operating on amateur frequencies, to establish two-way communication with ARES leadership or members in as many US counties as possible by using VHF/UHF simplex channels or local repeaters or near vertical incidence skywave (NVIS) propagation on HF. "The contact can be with any amateur in the county, if an ARES member or leader is not available," English added. 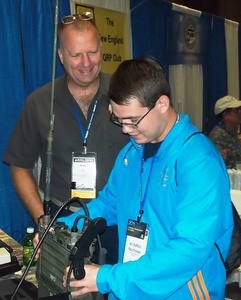 MARS Program Manager Paul English, WD8DBY (left), demonstrated a PRC-150 military backpack radio to Nicholas Wattendorf, N1NRW, at the ARRL National Centennial Convention in July 2014. "Ultimately we would like the MARS operator to join an existing ARES net, if one is operational during the exercise," English said. If no net is available, MARS members should come up on local repeaters or check into HF traffic nets to see what amateurs are available and to determine their counties. "We want to use existing net times and frequencies to the extent possible," English continued. "Any mode of operation is fine." Only one ARES/Amateur Radio contact per county is needed, but more are okay. The contact must be person to person and cannot rely on Internet-linked repeaters, Internet connectivity systems, or store-and-forward e-mail systems, such as Winlink, English said. The information exchange requested from ARES for each county is the county name and the county Federal Information Processing Standards (FIPS) code, if available. There are two preferred windows of opportunity to conduct the interoperability exercise. These are from 1201 to 1800 UTC on October 27, and from 0001 to 0600 UTC on October 28. Contact Paul English, WD8DBY, for more information. The ARRL Centennial W1AW portable operations taking place throughout 2014 from each of the 50 states are now in Missouri and Virginia. They will transition at 0000 UTC on Wednesday, October 15 (the evening of October 14 in US time zones), to Alabama (W1AW/4) and Michigan (W1AW/8). In addition, W1AW/KH0 also will be active October 8-21 from Tinian Island in the Northern Marianas. So far during 2014, W1AW has visited each of the 50 states for at least 1 week, and by year's end W1AW will have been on the air from every state at least twice. The ARRL Centennial QSO Party kicked off January 1 for a year-long operating event in which participants can accumulate points and win awards. The event is open to all, although only ARRL members and appointees, elected officials, HQ staff, and W1AW are worth ARRL Centennial QSO Party points. Working W1AW/x from each state is worth 5 points per mode/contact, even when working the same state during its second week of activity. To earn the "Worked all States with W1AW Award," work W1AW operating portable from all 50 states. (Working W1AW or W100AW in Connecticut does not count for Connecticut. Participants must work W1AW/1 in Connecticut.) A W1AW WAS certificate and plaque will be available. An ARRL Centennial QSO Party leader board shows participants how many points they have accumulated in the Centennial QSO Party and in the W1AW WAS operations. Log in using your Logbook of The World (LoTW) user name and password, and your position will appear at the top of the leader boards. Results are updated daily, based on contacts entered into LoTW. Scouting's 2014 Jamboree On The Air (JOTA) is set for the October 18-19 weekend. The annual event links Scouts around the world via Amateur Radio. More than a half million Scouts and Guides get together over the airwaves each third weekend of October for JOTA. According to the World Scout Bureau, JOTA is the largest Scouting event in the world, with nearly 750,000 Scouts participating from 6000 stations in 150 countries around the world. Scouts of any age can participate, from Cub Scouts to Boy Scouts and Venture crew members. Not a contest, JOTA's goal is to foster Scout-to-Scout communication across borders and oceans. "The idea is to contact other Scout stations and allow as many Scouts as possible to talk to other Scouts and learn about who they are and what they are doing," the Boy Scouts of America has said in its JOTA guidelines, which offer suggested frequencies. On-the-air exchanges typically include such information as name, location, Scout rank, age, and hobbies, but the conversation can certainly go beyond that. Amateur Radio licensees should be aware that international third-party traffic agreements may prohibit direct person-to-person communication between unlicensed individuals in certain other countries. In those cases, the station control operator may serve as an intermediary. Licensed mentors often open their stations to Scouts on JOTA weekend, serving as control operators. Radio operation will be on 80 through 6 meters, all modes, and 2 meters and 70 centimeters FM simplex. Upward of 14,000 stations were on the air for JOTA 2013. A JOTA participant patch is available, as is a certificate/log sheet that can also be used to fulfill a Radio merit badge requirement. JOTA 2014 gets underway on Saturday, October 18, at 0000 local time and concludes on Sunday, October 19, at 2400 local time. 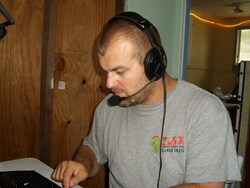 The ARRL website also has information on JOTA. With JOTA 2014 a little more than 1 week away comes word that its "founding father," Les Mitchell, G3BHK, died on October 6. Mitchell started JOTA in 1958, after launching the idea a year earlier at the World Scout Jamboree. That was the first year the Jamboree had an Amateur Radio station on site, and it's had one at every World Scout Jamboree since. Mitchell realized that many scout leaders also were hams, and that it would be possible to arrange a "Jamboree On The Air." JOTA Founder Les Mitchell, G3BHK. "Little did I think when I drew up the plans and rules for the first event in 1958 that its popularity would increase and spread around the world," Mitchell reminisced in 2000. "Even more astonishing is the fact that after all this time it still holds its popularity. In fact it has become the largest international Scout event ever." Mitchell said that far fewer Scouts were licensed in 1958, but over the years Scouts taking part in JOTA got so interested that they became radio amateurs themselves. "JOTA is great fun," Mitchell said, adding, "If you put nothing into the event you may get nothing out of it! JOTA is your chance to speak to Scouts and Guides over the horizon. Silence makes no friends!" The ARRL is accepting nominations for the George Hart Distinguished Service Award. The deadline to receive nominations and supporting materials is November 1. The award honors long-time ARRL Communications Manager George Hart, W1NJM (SK), the chief developer of the National Traffic System (NTS). Hart died in 2013 at the age of 99. Nominations should thoroughly document the nominee's lifetime activities and achievements within the ARRL Field Organization. Nominees are expected to have at least 15 years of distinguished service. The Programs and Services Committee will serve as the Review Committee, and the ARRL Board of Directors will make the final determination at its Annual Meeting in January. Submit nominations and related supporting material and letters of recommendation to ARRL Headquarters or mail nominating documents to ARRL Field Organization Team Supervisor Steve Ewald, WV1X, 225 Main St, Newington, CT 06111. Students from Thailand, Ghana, and Papua New Guinea attended the 31st United States Telecommunications Training Institute (USTTI) Amateur Radio Administration Course (ARAC) September 29-October 3 at ARRL Headquarters. Two participants got their US Amateur Radio licenses as the course wrapped up. ARRL Chief Technology Officer Brennan Price, N4QX, coordinated the session and administered the course, which is designed for government officials in developing countries who regulate and manage Amateur Radio. Those taking part in the program work in their respective government's telecommunication offices, where they have responsibilities for Amateur Radio licensing and regulation as well as preparation for international conferences. "Our students -- Annop Nittaya, HS1PLO, and Virat Uansri from Thailand, Peter Djakwah, KM4EQL, of Ghana, and Oki Gari, KM4EQM, of Papua New Guinea -- were already quite knowledgeable about Amateur Radio, and are committed to the further development of Amateur Radio in their countries," Price said. "All left with a profound understanding of the unique nature and needs of the Amateur Radio Service." The ARAC curriculum covers a variety of Amateur Radio topics and concerns, including licensing, spectrum requirements, disaster communications, and antenna requirements. The curriculum also covers the International Telecommunication Union (ITU) and its regulations, as well as the process leading to the upcoming 2015 World Radiocommunication Conference (WRC-15). Several ARRL staff members delivered classroom presentations within their areas of expertise. Emergency Preparedness Manager Mike Corey, KI1U, taught a unit on Amateur Radio's public service, emergency, and disaster communication capabilities. ARRL Regulatory Information Manager Dan Henderson, N1ND, and ARRL VEC Manager Maria Somma, AB1FM, discussed licensing, examination and regulatory issues. Membership and Volunteer Programs Assistant Manager Norm Fusaro, W3IZ, talked about developing Amateur Radio capabilities through club activity. ARRL Laboratory Engineer Bob Allison, WB1GCM, assisted by ARRL Laboratory Volunteers Lori Kosior, KB1ZML, and Pete Turbide, W1PT, supervised each student's successful assembly of a 40 meter receiver kit. Each student took his assembled receiver home. ARRL Assistant to the Chief Executive Officer and Meeting Planner Lisa Kustosik, KA1UFZ, coordinated the League's participation with USTTI and hosted the students. The students had a particular interest in licensing, and Djakwah and Gari took examinations for the United States Technician license during their time at ARRL Headquarters. An ARRL VEC team comprising Somma, Corey, Field Organization Supervisor Steve Ewald, WV1X, and Outgoing QSL Bureau Associate Rose-Anne Lawrence, KB1DMW, administered the test, which both passed. USTTI is a non-profit joint venture of leading US-based communications, IT corporations, and federal government officials, who collectively provide tuition-free management, policy and technical training for talented professionals from the developing world. The ARRL hosts a course on Amateur Radio to introduce or further educate regulators and other spectrum users to its needs and unique issues. The next ARAC course is planned for the fall of 2015. ARISS-EU Chairman Gaston Bertels, ON4WF, holds the mic for a student during an Amateur Radio contact between the ISS and the International School of Brussels. recognized Bertels for his many years of serving first as chairman of the Eurocom Working Group and then of the Amateur Radio Space Exploration (ARSPEX) Working Group. Bertels, who is 87, has said that he will be stepping down as chairman of the ARSPEX working group. For many years, Bertels has chaired Amateur Radio on the International Space Station -- Europe (ARISS-EU). Region 1 conference delegates gave Bertels a standing ovation when the award was announced. The trophy is awarded to a radio amateur who has best exemplified the work and dedication of Roy Stevens, G2BVN in international radio. Koos Fick; Mitchel Mynhardt, ZS6YH; Enrico van der Walt, and Dennis Green, ZS4BS. The IARU Region 1 Medal was awarded to several radio amateurs for their meritorious service and their valued contributions to and support of Amateur Radio. The recipients were past IARU Region 1 President Hans Blondeel Timmerman, PB2T; Hani Raad, OD5TE; Andreas Thiemann, HB9JOE; Panayot Danev, LZ1US; Nikola Percin, 9A5W; Michael Kastelic, OE1MCU, and Martin Harrison, G3USF. 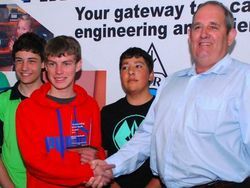 In September, IARU Region 1 named Mitchel Mynhardt, ZS6YH, as the first recipient of its Outstanding Ham Youth Award. Mynhardt received the 2013 award at the Radio Technology in Action Symposium in Pretoria, South Africa. International Amateur Radio Union Region 1 is a federation of national Amateur Radio member societies in Europe, Africa, the Middle East, and Northern Asia. who had resigned. Ryan lost his bid for election to the section leadership position in 2012. ARRL Atlantic Division Director Bill Edgar, N3LLR, subsequently appointed Ryan as an Assistant Director. "Steve's counsel and participation in Atlantic Division meetings and events greatly assisted me in representing the members of the Division," Edgar said. "His friendship and counsel with be sorely missed." Edgar said Ryan had been diagnosed almost 2 years ago with an aggressive form of cancer. In addition to his ARRL membership, Ryan was a member and former president of the Chautauqua County Amateur FM Association, an ARRL affiliated club. He had been a ham for about 35 years. Read more. 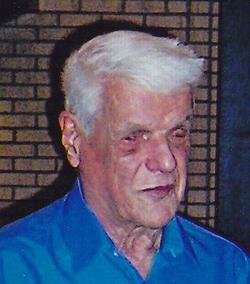 Fred L. Gissoni, K4JLX, of Louisville, Kentucky, died September 21. He was 84. Born blind, Gissoni was the co-developer of the Porta-Braille and Pocket-Braille note-taking devices as well as other adaptive technology. He also authored a popular instruction manual, "Using the Cranmer Abacus." Gissoni retired in 2011 after 23 years with the American Printing House (APH) for the Blind. "Fred contributed 60 years of service to people who are blind and visually impaired," Deborah Kendrick wrote for Access World, a publication of the American Foundation for the Blind. "Fred was known across the United States and around the world for his brilliant intellect, inventiveness, and impish sense of humor." A New Jersey native, he became interested in Amateur Radio at a very young age, and his passion for technology continued through his lifetime. Gissoni and Wayne Thompson developed the Pocket-Braille and Porta-Braille in the 1980s, while both were working at the Kentucky Department for the Blind. With the Pocket-Braille, the user entered data from a Perkins-style keyboard, and the device would render it in speech. The Porta-Braille included a refreshable Braille "display." He also developed the Janus Slate, a two-sided interline Braille slate that holds a 3 × 5 index card for brailling on both sides. Other inventions he developed for APH included a pocket Braille calendar. "I also used other ideas that Gissoni came up with or invented," said Bob Ringwald, K6YBV. "All the time I marveled at his genius, inventive mind, but never knew he was also a ham radio operator, K4JLX." Read more. Part of the 220 MHz band, perpetually under attack by other radio services, was snatched from the Amateur Service on August 4, 1988, by the FCC, which reallocated 220-222 MHz to the Land Mobile Service. ARRL had been fighting this battle for some time and would continue efforts have that band segment return to the Amateur Service. January 1989 QST published "The Listener," a quick, but interesting, look at the efforts of pioneer radio astronomer Grote Reber, W9GFZ. On January 30, 1989, the FCC released the news that the much-awaited 17 meter ham band was open for business in the US! The editorial in the May 1989 QST, "Spectrum Management, or Abdication?" decried a recent FCC action to allow manufacturers of electronic equipment to radiate unlicensed signals on hams bands from 902 MHz upward. The ARRL continued its defense of amateur frequencies by preparing to go to Congress for relief, using this as the latest example of FCC out-of-control decision making. A two-part article by KO5I and N4HY in the May and June 1989 issues of QST introduced the latest generation of OSCAR satellites -- microsats. On May 11, 1989, a congressional oversight committee summoned the FCC's chief engineer to defend the Commission's decision to take 220 to 222 MHz away from amateurs and allocate it to another service. Following the hearing, the committee chairman wrote the FCC, asking it to reconsider alternatives. The FCC stonewalled and did nothing. The ARRL subsequently filed a federal court appeal. On July 20, 1989, the newly renovated W1AW building was rededicated. Nearly 10,000 individual donors had put up almost a half million dollars to fund the renovation. In the "How's DX?" column in the September 1989 issue of QST, Ellen White, W1YL, noted "Pitcairn Island's Bicentenary," a fascinating read. White noted that Pitcairn was the country with the highest per capita number of hams in the world -- 6 hams out of a population of 60! The island's 200th anniversary was celebrated in part by special event station VR200PI. 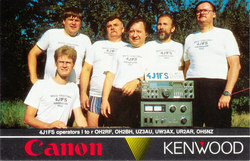 In 1990, a husband-and-wife team achieved DXCC on 6 meters. The wife, K5FF, was first, and her husband, W5FF, was right behind. An interesting photo in "Up Front in QST" in September 1990 showed Samuel F. B. Morse III, W6FZZ, operating at a special event station to celebrate his great-grandfather's 199th birthday. Tad Cook, K7RA, Seattle, Washington, reports: Average daily sunspot numbers from October 2-8 dropped from 170.1 in the previous 7 days to 98. Average daily solar flux also declined from 168.9 to 131.9. Predicted solar flux for the near term is 125, 120, and 115 on October 9-11, 110 on October 12-14, then 115 and 125 on October 15-16, 145 on October 17-18, 140 on October 19, 135 on October 20-21, and 140 on October 22-25. Solar flux then drops to a low of 110 on November 7-9, and rises again to 145 for November 12-14. The prediction for the planetary A index is for a more-active geomagnetic future, at least in the near term. 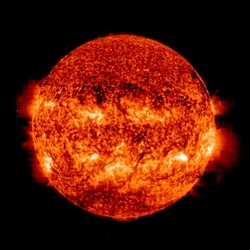 The predicted planetary A index is 5 on October 9-10, 8 on October 11, 5 on October 12-14, then 8, 15, 8, and 5 on October 15-18, then 8, 10, and 20 on October 19-21, 15 on October 22-24, and 10 on October 25-28. In Friday's bulletin look for an updated forecast and reports from readers. Send me your reports and observations.